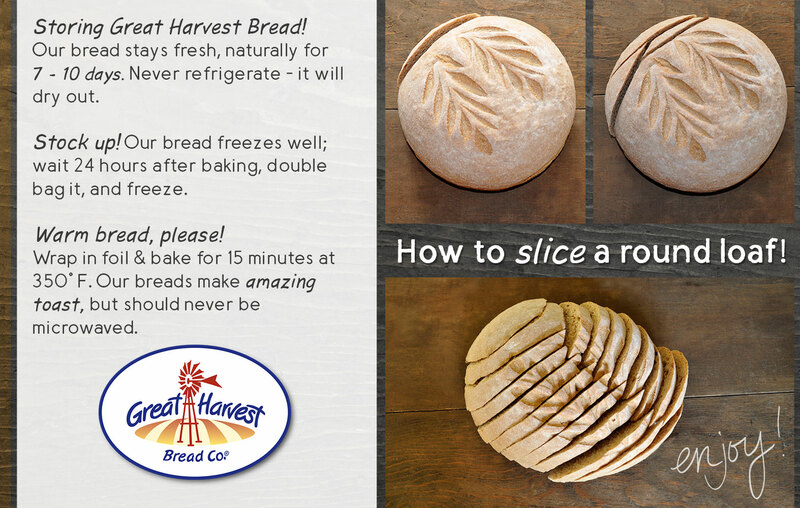 This Great Harvest Bread Co. in Fairbanks is a dream come true — our dream! Our passion for great tasting, nutritious bread, and our desire to run a community-based business, led us to Great Harvest. They have been making great bread for communities across the U.S. for over 30 years. Fairbanks has been our home for over... well, forever. Several years ago we made the decision to pursue our dream. So, we said good-bye to Corporate America, kicked the suit and tie and are now up to our elbows in dough. We’re excited to bring this tradition to you, our neighbors and friends.